Research into the reproductive biology of crop plants has expanded greatly in recent years and has lead to an increasing awareness of the importance of flowering, pollination, and fruit set in crop productivity. 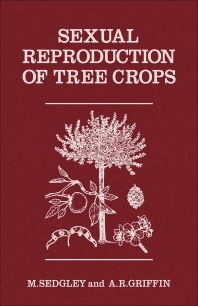 This book focuses specifically on tree cultivation. It deals with the basic biology of sexual reproduction and relates this to the practical aspects of tree crop breeding and orchard management for fruit and seed production, in both temperate and tropical species. It is aimed at both students and research scientists in horticulture, forestry, and pollination ecology as well as those working in tree breeding, tree cultivation, and orchard management. The conservation problems of rainforest regeneration in the tropics and subtropics and of changing land use priorities in Europe and North America also make this book of value to those concerned with tree species preservation and survival. Plant reproductive physiologists, pollination biologists, horticulturists, silviculturists, agriculturists, and ecologists.